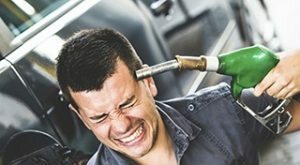 So, what should you do after pumping diesel in petrol car? First, you should not worry. The damage arising from this mistake is not as extensive as the damage from filling a diesel car with petrol. This is due to the way both petrol and diesel fuel systems are set up. What’s more, diesel has to undergo compression before igniting making it harder to ignite while petrol on the other hand ignites easily using a spark plugs to generate sparks for igniting. 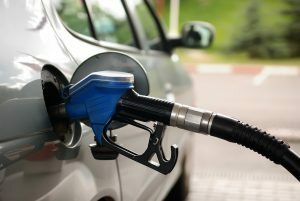 Therefore, even if driven the vehicle you may still have enough time to remedy the problems that might arise after filling a petrol car with diesel. As for a diesel car, fast solutions would be required to prevent more problems from arising. If you have misfuelled, you ought to understand the problems that may occur. The most common damage that you need to worry about is the clogging of the fuel system and spark plugs. Eventually, the car might misfire. If this goes on, you could see smoke coming out of the car. In many instances, the car stops running altogether. Luckily if remedied quickly none of the problems you see after pumping diesel in a petrol car should be permanent. A simple drain and flushing of the system to remove contaminated fuel is all it should take take to restore the car back to a usable and drivable condition. As mentioned earlier, a simple fuel drain would solve most of these problems. Irrespective of the amount of contamination involved, a complete fuel drain is highly recommended to protect the engine. However, if you notice that you’re filling the car with wrong fuel after pumping only 2 litres into the tank, you would be under no obligation to go for fuel drain. This is because 2 litres of diesel is incapable of causing significant contamination. In fact, you’re free to top up the remainder of the tank with petrol. The engine should still be able to run just fine. If you have pumped more than 2 litres of diesel in a petrol car, the biggest mistake you could do would be to start the engine. In such a case, a complete fuel drain would be highly recommended. In fact, the fuel drain is mandatory in such a situation. If this happens while the car is in or around the garage, you should inform the mechanic immediately. Instead of starting the engine, you should push the car to a safe place. Next, allow fuel removal experts to not only drain, but also flush the wrong fuel out of the engine. Drive the car only once this is done. In a situation where you started the car, your options would be a bit different. The main goal would be to drain the contaminated fuel completely out of the engine first before doing anything else. Next, you would need to use clean petrol for flushing the fuel lines thoroughly. After doing these two tasks, the engine should be safe from further damages or problems. You will now be free to fill the car with petrol. Afterwards, get inside the car and drive it off to your preferred destination. You should have no more reason for worrying. What should you do after driving the car that it’s running on diesel instead of petrol? Once more, you shouldn’t panic. The moment you notice that the car has a problem, stop driving and park at a safe spot. Call the fuel drain experts to flush the fuel tank as well as fuel lines thoroughly. The technicians should not leave the car until they perform a full flush on it. Flushing is essential for the complete removal of the contaminated fuel. Once the flushing is done and the car is free of contaminated fuel, it should be ready and safe to drive. A bit of caution is necessary. This is because the car might develop emission problems. The emission problems are the result of contaminated sensors and controls. The emission problems should cease after performing the tasks listed above. In case the emission problems persist, you should not hesitate to call a technician to give the car a thorough examination. The nearest garage or local mechanics are well capable of providing solutions quickly and ensuring that the problems cease altogether, thus making the car safe to refuel or continue driving. For the most part, the presence of diesel in a petrol car should make the engine develop a few problems. What happens though is that the engine runs rough. The engine is unable to run with any meaningful amount of power. If you continue driving the car, expect to see it emitting plenty of smoke, which makes the whole experience uncomfortable and unpleasant. The cylinder walls would need thorough evaluation, as they tend to suffer. If the cylinder walls are affected, the engine won’t have the required amount of lubrication. It would be great to ask the mechanic to check the varnish and fuel systems too. The fuel system refers to the carburettor, fuel injectors and fuel pump. The piston rings would require a bit of examining too as they can develop a few leaks. While at it, don’t forget to check the oil pump and oil supply for signs of contamination. If you don’t know how to do any of these tasks, you should not attempt to even touch the affected parts. Instead, dial the number of your experienced mechanic to dash over and give the car a thorough check. All crankshaft bearings need your attention too. Diesel is capable of interfering with the efficiency of the crankshaft bearings. The rod bearings too are not worth ignoring. Diesel in a petrol car is able to contaminate the rod bearings as well as the crankshaft bearings. If you do nothing to flush or clean the engine, the likelihood of a total tear down would increase exponentially. Most times, you have to prepare a budget for replacing the bearings and piston rings. The internal parts of the engine would also need proper cleaning. The good news is that you can stop filling your petrol car with diesel. The power to avoid this error is in your hands. You’re totally in control. What you need to do is keep the mobile phone far away from you while approaching the fuel pump at the gas station. Close the book that you were reading too. Don’t respond to text messages. Avoid taking the newspaper out to skim through one of the stories. Avoid chitty chats. Concentrate on the task before you. If you do, you will notice that the diesel pump has a different colour from the one labelled petrol. Furthermore, stop trying to force the diesel nozzle into the tank neck if it refuses to go in of its own volition. If you’re not too distracted, you might just realise that what you are trying to do is akin to forcing square pegs into a round hole. The struggle you go through is proof that what you are about to do is wrong. Therefore, use this as a warning to avoid committing a mistake that would cost a lot of money and time to fix. Avoiding such an error determines whether you arrive at your destination on time and with your car intact or not. If you’re driving a petrol car for the first time, find a way of reminding yourself not to fill it with diesel. If you can’t make and adhere to a mental note, you should write this down somewhere you can see easily when you stop at the gas station. For example, you could write on a huge piece of paper and stick it on the steering wheel. This way, you will be looking at the paper all the time while driving. Such measures might appear extreme, but they are not if you consider the amount of trouble and expenditure they save you from. If you still commit the mistake despite making all attempts not to, the worst decision would be to panic. First, inform the closest mechanic. Dial the number of the nearest roadside assistance company that you find. Alternatively, call the manufacturer for directions on what to do, if you’re unable to reach any mechanic. In fact, don’t wait until the problem arises before you begin looking for the contact details of a local fuel doctor or wrong fuel removal expert. Keep the number ready in your phone or diary. It is better to be safe than sorry.